I didn’t mean to come off so negative in my last post. Once I finally found a few minutes to make these mosaics, I realized I’ve actually been quite involved in knitting this year. I think most of my knitting attention went to socks, and I finished nine pairs, all for myself. 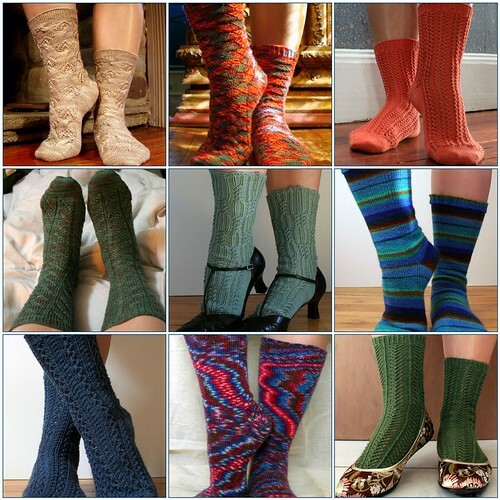 With the exception of the Hedera socks, all were knit toe-up and with a short-row heel. I think I’ve found a formula that really works for me. Sock Knitters Anonymous definitely played a huge part in my sock obsession (or is it the other way around? ), though I may ease up on my participation a touch to focus on other projects. In non-sock knitting, I did a bit more than I realized. Still, it felt like I was knitting so much more. 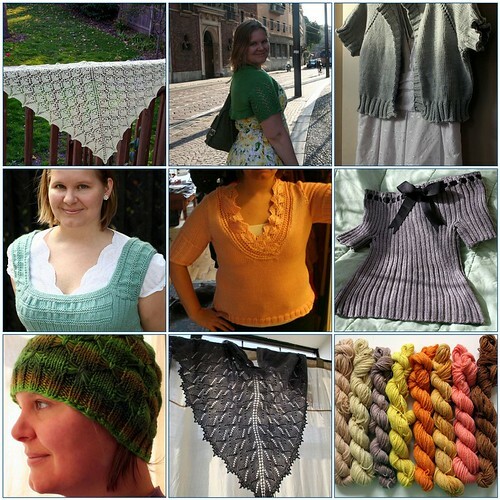 I may have gotten carried away with the mosaic maker, but I compiled one final collection: Knits That Might Have Been. All the things I started and didn’t finish, the projects to which I devoted several days and then frogged, things I got 80% through and then put aside… there’s a lot of these. And if I’m being honest, there are even more that I haven’t photographed, including 3 or 4 unfinished Christmas gifts. I expect that many of the projects from this third mosaic will comprise the early FOs of 2009. Otherwise they will join the ever-increasing pile of languishing knits from 2007 and 2006 (have I really been knitting that long already?). This leads me to my goal for 2009: The Year of Finishing Things I Start. What this means and how I plan to accomplish it will be fleshed out soon, including a parade of WIPs and discussion of what makes me abandon a project. I look forward to a more productive and relaxing year of knitting in 2009. This time without the sarcasm, Happy New Year! Your 2008 knits are stunning! Here’s to another great year of knitting. I wish I could be your sock drawer. Beautiful.